Anguilla has all the required ingredients of a perfect honeymoon setting; 33 world class beaches, each with powdery white sand, turquoise waters and beautiful sunsets. With only a handful of small, luxury resorts and villas, the island has a quiet, barefoot charm. Its 'under the radar' reputation, compared with the busier neighbouring islands of St. Barts and St. Maarten makes it an attractive option for honeymooners seeking privacy in paradise. Tucked away in the Eastern Caribbean, Anguilla is the most northern island in the Leeward Island chain and is one of the Caribbean's best-kept secrets, measuring just 35 square miles with a population of 15,000 people. The pace of life is calm and relaxed: newlyweds can do as little or as much as they like on this tropical paradise. Indeed, Anguilla offers an experience like no other – glorious year-round weather, breathtaking vistas, azure waters, incredible beaches, mouth-watering cuisine, and activities land- and sea-based. 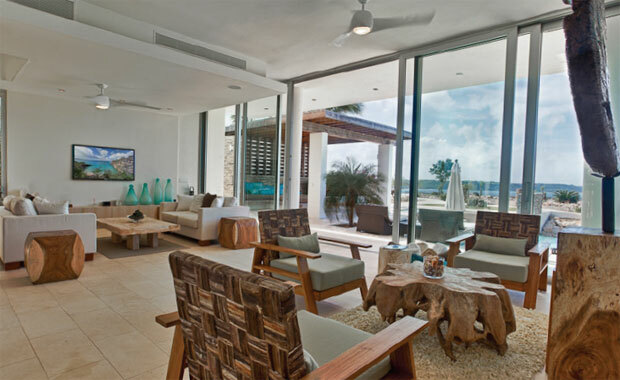 Set on the beach overlooking Rendezvous Bay, all suites have a direct view of the famous bay. An infinity-edge pool, five exceptional restaurants, cooking demonstrations, a hydroponic greenhouse, and an18-hole golf course are some of the factors that give this hotel a distinctive edge. 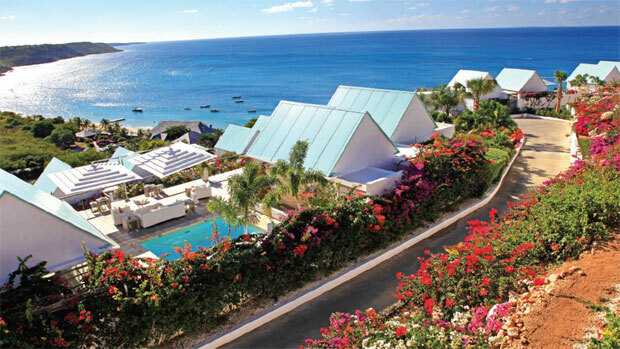 The Frangipani Beach Resort is family-owned and operated, and has set itself apart as the premier luxury boutique hotel in Anguilla. 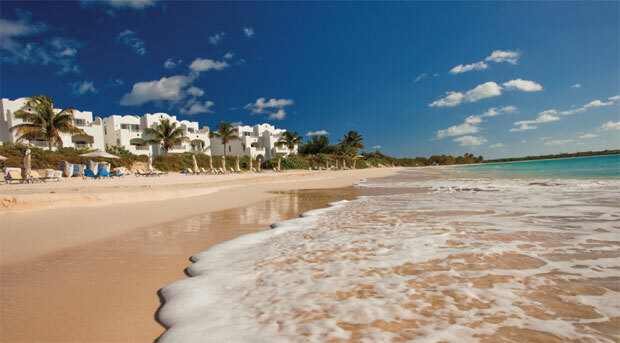 Located on the soft white sands of the famed Meads Bay, all 19 rooms and suites are just steps from the pool and beach. 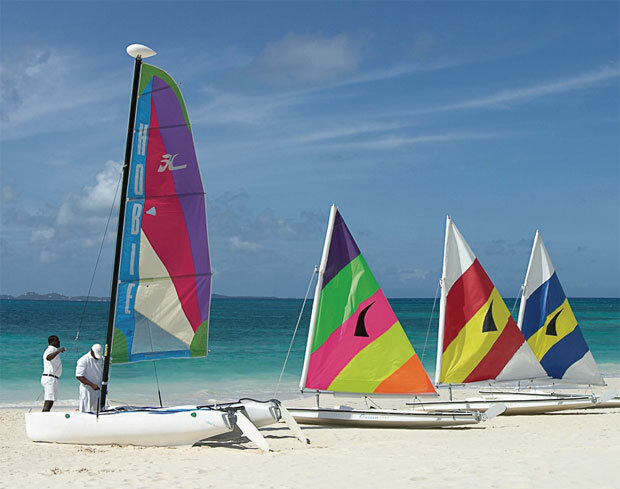 Newlyweds can choose from a full range of activities with complimentary watersports. Amenities on-site also include an award-winning restaurant, fitness centre and tennis court, while massage and spa treatments are offered right on the beach. Located on a hillside overlooking Crocus Bay, the CéBlue Villas and Beach Resort is made up of eight villas, each of which has five bedrooms which boast ocean views and nearly 8,000ft2 of indoor and outdoor living space. It's the perfect honeymoon retreat where couples can enjoy the intimate isolation of a private pool and terrace overlooking the beach. Concierge service is available to guests as well as access to the clubhouse, fitness club, spa and a golf cart for easy shuttle. Visit www.ceblueanguilla.com for further information. 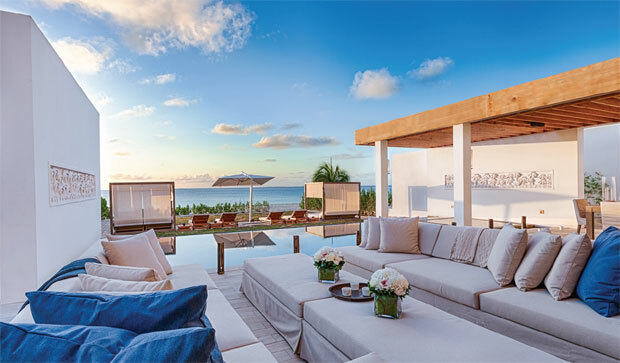 Ani Villas Anguilla is made up of two luxury villas that sit atop the rocky cliff overlooking one of the island's most idyllic and remote beaches – Little Bay. Each five-bedroom luxury villa is oriented towards the breathtaking views of the coast and is fully equipped with its own pool, hot tub, kitchen, indoor and outdoor dining areas, lounge, and deck. The properties also include access to a roof lounge, golf carts, gym and a night-lit tennis court with cabana lounge. The resort offers couples a generous assortment of on-site activities, including a private chef and butler service. With panoramic views of the ocean, Kishti Villas is the perfect place for honeymooners. 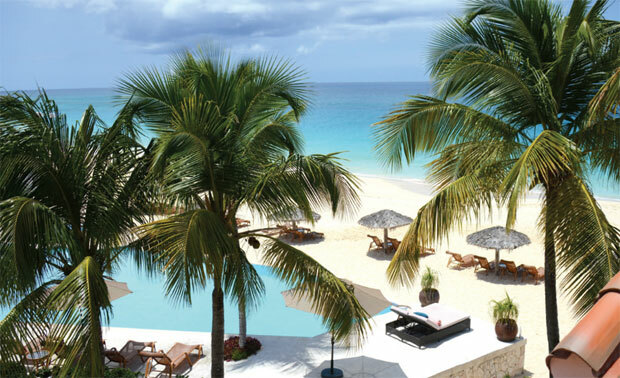 The resort includes two spacious, extravagant beachfront properties on one of the Caribbean's most sought-after beaches – Meads Bay. Each villa has six bedrooms, two kitchens, a rooftop, office, patio garden, home theatre, an infinity pool, hot tub and gym. A full team of staff is available at the property and can include a chef, butler, housekeepers, manager and concierge.